Looking to replace a cylinder from another manufacturer? The Clippard.com website makes it easy with a built-in cylinder Interchange Guide. 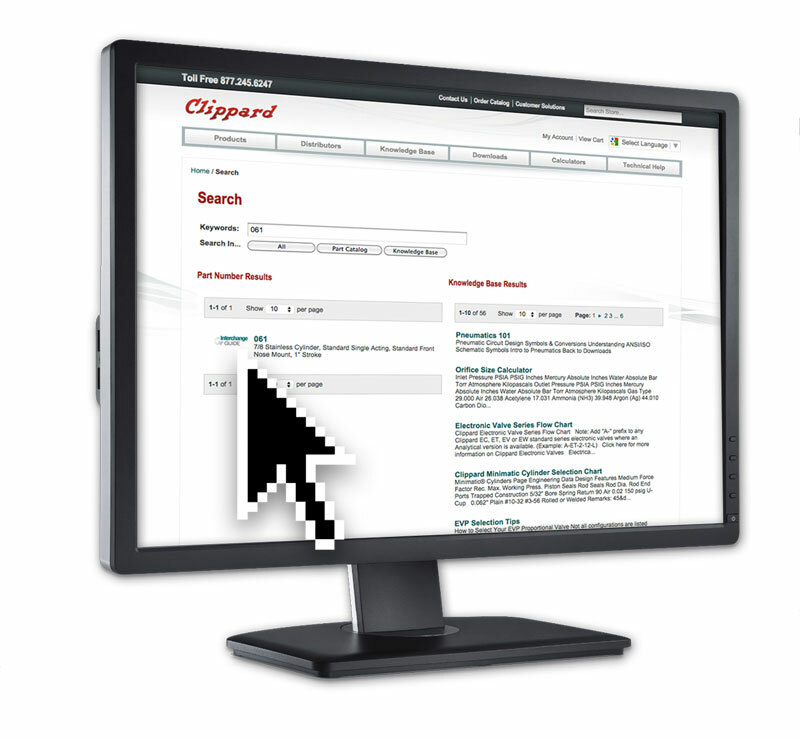 Just enter your cylinder part number into any search box and the Interchange Guide will identify which Clippard cylinders are most similar, complete with a full comparison. 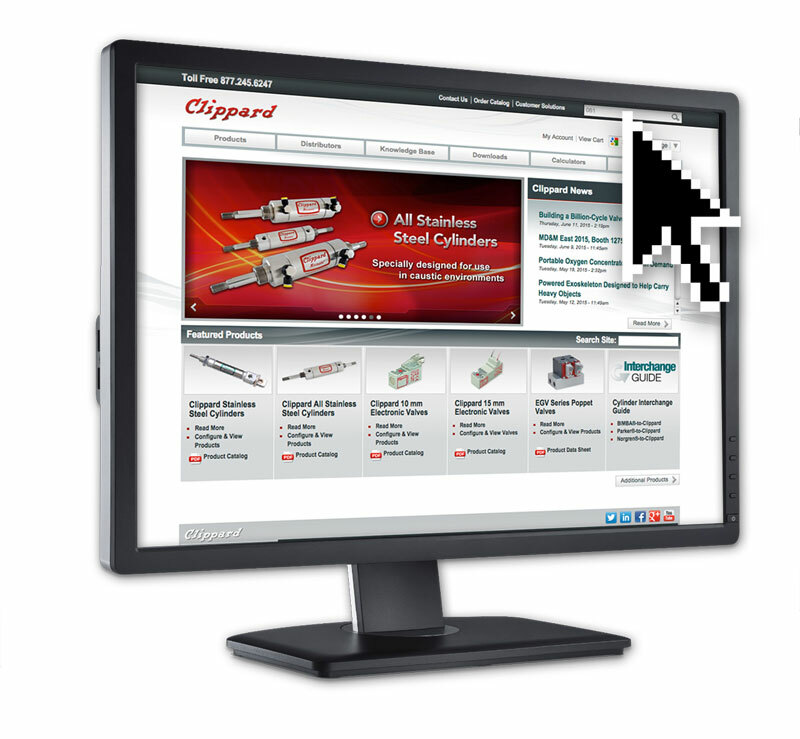 Enter your cylinder part number into any search box on the Clippard.com website. The Interchange Guide displays compatible Clippard cylinders. Not sure what the other manufacturer's part number is? 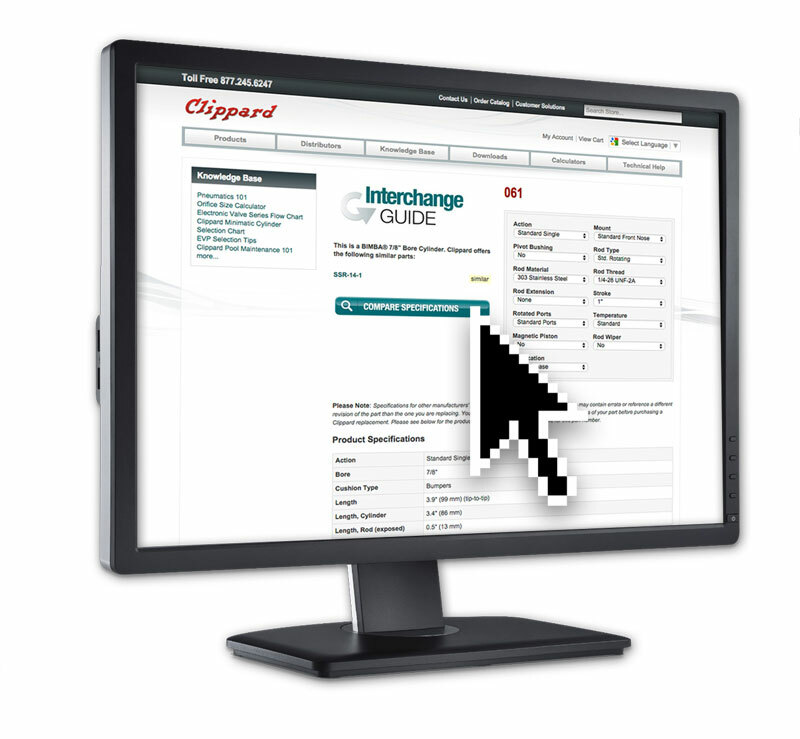 Clippard's cylinder Interchange Guide also allows you to configure your cylinder based on its specifications. Click here to jump to the Interchange Guide landing page, then click on the manufacturer of the cylinder to access the configurator.